"This outstanding and much-needed book fills a major gap in the homeopathic literature on children. 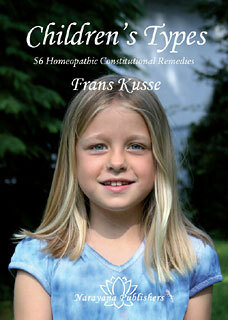 It provides insights into nearly 60 remedies which Frans Kusse has found to be most useful for children. Based on a solid foundation in classical homeopathy and Dr. Kusse's own extensive clinical experience, it also incorporates Scholten's cutting-edge work with the Periodic Table. It is the first book in English to introduce Scholten's groundbreaking work to the general public. Written in a conversational style, it invites parents to discover their children's type and to explore the many ways that homeopathy can help their child. 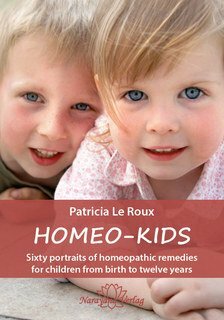 For homeopathic practitioners and students, it explains how remedies well known in their adult "portraits" will manifest in children (not always easy to determine from the existing literature). Finally, it introduces some newer remedies that the author has found to be as useful as polychrests for children, such as Beryllium, Saccharum, and Lithium phos. The photos illustrating the children's types are a stunning addition." The old standard work by Borland on homeopathic child types has finally found a worthy modern successor to rework the subject matter and extend it by drawing on the author’s own personal experience. People have often asked why there's no book which, apart from describing the well-known major child remedies, also covers the new remedies particularly well-suited to treating children. Due to the outstanding clinical quality of the book, we did not simply want to leave it at a translation. The high calibre of the 56 remedy descriptions made it worthwhile to enrich the book with photographic portraits – homeopathic typology in particular can benefit from such portraits. From our practice in Kandern, we were able to add 47 photographs of children. Most remedies have two characteristic pictures, which often show astonishing similarities as a pair. These are almost all long-standing cases that responded very well to the remedy in question, mostly repeatedly and with excellent effects when the remedy was given again months or years later. This delightful book makes a clear imprint of the richness and individuality of the 56 remedies described. Written in a flowing style that is easily read and understood its simplicity is genius. The total presentation reflects the vibrancy and freshness of children. There is a purity of expression that exudes authenticity and originality. Kusse's apt use of language and choice of words sculpt each unique remedy delivering 250 pages of poetic prose. In Childrens Types Frans Kusse provides well rounded remedy synopses. Each remedy is captured at the outset in a single phrase. Sometimes this is just a couple of words for example Lycopodium "internally powerful"; Pulsatilla "need for comfort"; Nux.vom "ambitious"; Ant.crud "contrary". These phrases are like crystals you will readily recognise and are a useful aid to learning and calling to mind what is key. There follows a paragraph on the origin of each remedy, then key mental/emotional characteristics are put in context, followed by physical symptoms and lastly a note on food and drink. The text is supported with portrait photographs which I find intriguing. It helps that they are in black and white as the physique and disposition of each child is obvious. While each chapter follows a similar outline there is no repetition or overlapping making this book a joy to read. Kusse's remedy pictures are skillfully crafted. Many materia medica emphasise mental/emotional characterisitcs that are prominent when a case is gliding into or on the cusp of serious pathology. This has the adverse affect of restricting the view of remedy pictures to these states and can be disturbing to people first encountering homeopathy. Selecting the consitituional remedy particularly for children requires the homeopath to understand the nature, colour and texture of the remedy before a patient ever reaches such a state and indeed may never eschew such characteristics with or without early use of the most suitable remedy. This is where I find Kusse excels. He maintains the integrity and individuality of each remedy sensitively. A parent can open this book at any page and recognise why a remedy might apply to their child. This engenders confidence. An excellent addition to my homeopathic library!